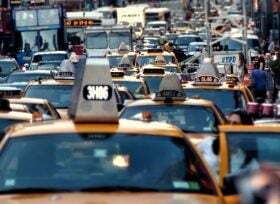 As details like discounts and transit perks are discussed in the wake of New York’s newly approved plan to levy a congestion fee on vehicles entering Manhattan’s business district south of 61st Street, New Jersey Gov. Phil Murphy has voiced objections to the plan, saying it it could be unfair to New Jersey residents, the Wall Street Journal reports. According to the New York Post, commuter rail discounts are on the way for New York City residents coming from areas–such as some in northeast Queens–not served by subways, where the MTA agreed to knock 20 percent–$45–off monthly passes for LIRR commuters entering and leaving Penn Station. The MTA will also invest $3 million for express bus service from Queens to Midtown. Gov. 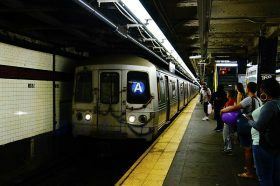 Andrew Cuomo and Mayor Bill de Blasio endorsed congestion pricing and a proposal to reorganize the Metropolitan Transportation Authority in a joint 10-point plan released on Tuesday. The joint plan, which requires legislative approval, calls for tolls to be collected south of 61st Street in Manhattan, with the exception of FDR Drive. Cuomo said on Tuesday he hopes the package of transit proposals is included in the state budget, which lawmakers must pass by April 1. The tolls would not take effect until December 2020, if approved. Congestion surcharges on taxis and other for-hire vehicles in Manhattan will begin soon after a judge lifted a temporary restriction of the fees on Thursday, the New York Times reports. The new fees were supposed to start on January 1st but a coalition of taxi drivers filed a last-minute lawsuit against the “suicide surcharge,” fearing that the new policy will drive away customers and deal another significant blow to the ailing industry. 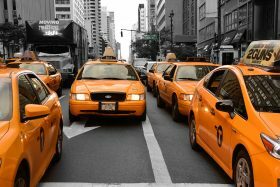 The proposed fee of $2.50 for yellow taxis and $2.75 for other for-hire vehicles will bring the minimum taxi fare up to $5.80 while the minimum cost for an Uber, which already has an $8 base fare in Manhattan, will see an increase to $10.75. Congestion pricing is dead in the water again. But New York City’s traffic and subway problems continue to get worse while the population and Cuomo and De Blasio’s battles continue to grow. Something has to give. With that in mind, the question remains, if congestion pricing ever happens, what is the relationship between congestion pricing and NYC real estate?